Tidal is an online music streaming service that offers ad-supported free streaming and ad-free subscription streaming services in 85 countries. It is available as a website and a mobile application (available on iPhone, iPod Touch, iPad, Android, BlackBerry, and Windows Phone mobile devices), which can stream music from its servers or download music for offline playback. 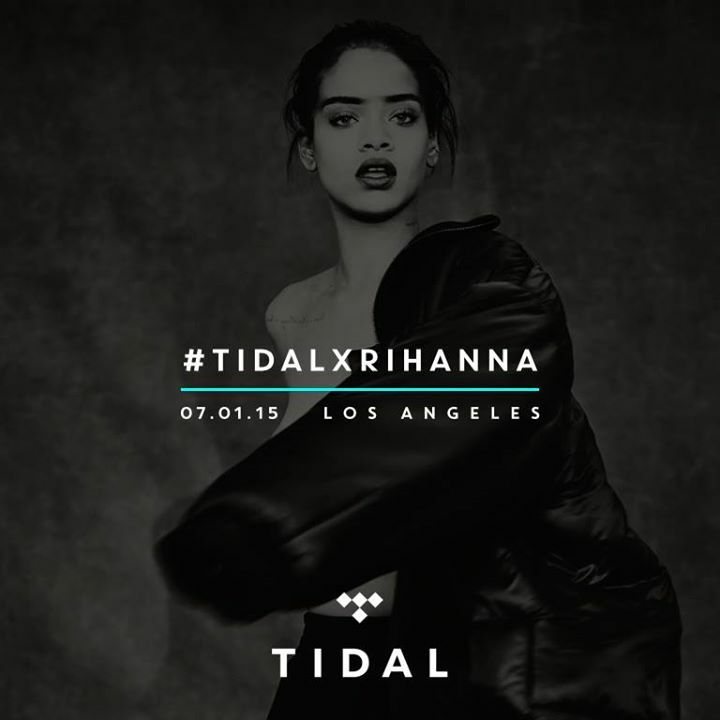 Tidal also offers social networking features, such as the ability to share songs, albums and playlists with others on Tidal as well as to social networks such as Facebook and Twitter. The technology behind the TurnUp feature set allows users to simultaneously play music through multiple phones. The ability to sync an unlimited number of devices together to play music when users are in different locations could revolutionize the music sharing and listening experience. 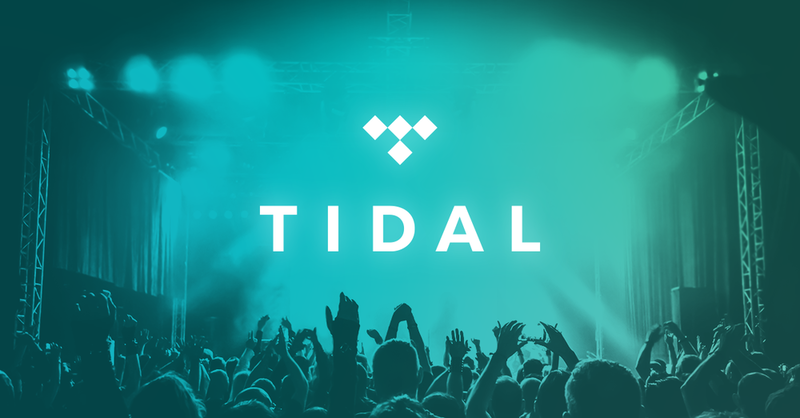 Competitor Analysis: Compare and contrast (Strength and Weakness) the functionality of Tidal and its competitors. Interviews: Conduct first-hand interviews to understand the needs and wants of current and potential Tidal subscribers. Survey: Send a survey out through social media to understand the needs and wants on the functionality of TurnUp. 1. 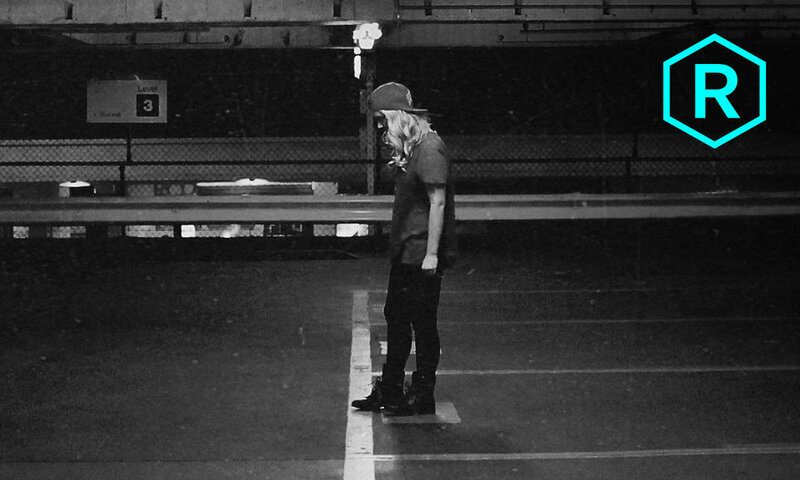 How do you discover new music or songs? 2. How often do you share music with others? 3. If there’s new enhance feature that can simplify the way you share music, would you use it? Based on interviews and surveys, the two personas that best resonate with Tidal’s core values are The Film Editor and the CrossFit Instructor/Wedding DJ. These two personas are likely to make use of the product. 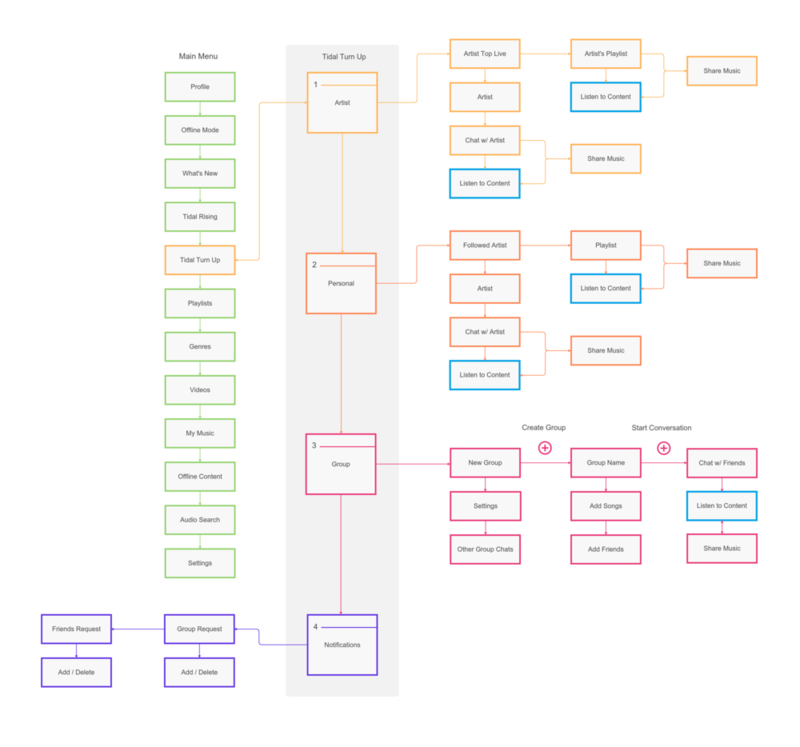 The objective for this task is to keep the design simple and create a wireframe that will blend with the app seamlessly. I didn't want to design anything that would stand out from the brand, as that would deter from the overall user experience. Before working on this project, I played around with the app to understand the current user experience and determine whether the interface was intuitive. 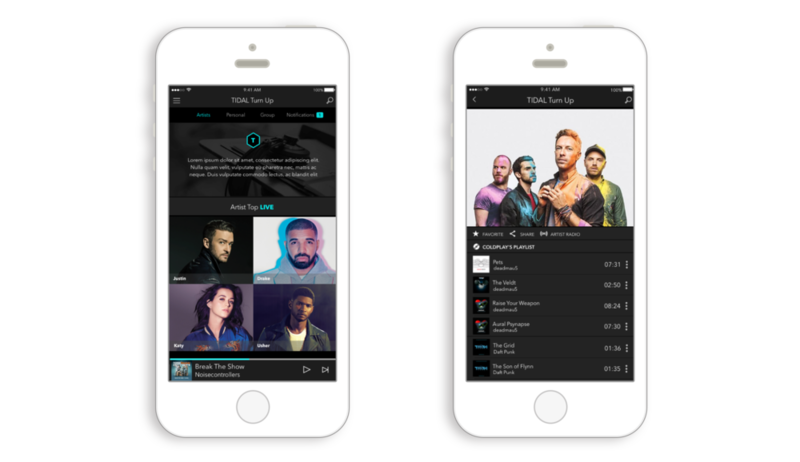 The app itself was easy to navigate, so the goal was the make sure Tidal TurnUp blended seamlessly within the overall app experience. The Personal Page lets you follow your favorite artists, create playlists, and share it with your peers. The majority of the people interviewed and surveyed requested to see something along the lines of connecting with artists. This idea stood out because with this added feature, it would draw more fans to try Tidal to feel closer to their favorite artists. With the cost to subscribe to Tidal being slightly higher than other music streaming services, this feature could potentially be a game changer. In conjunction to sharing and listening to music at the same time through TurnUp, adding a group chat function into the TurnUp interface will compliment the concept of music sharing. With the group chat feature, there is no need to exit the Tidal app in order to share and discover songs with others. Everything you need to do is conveniently and seamlessly integrated into one app. This is the prototype version of what it may look like it if was LIVE! Please feel free to play around with the interface to get a feel of the user experience. With the UI complete, it is now in the hands of the stakeholders to experience the new feature.